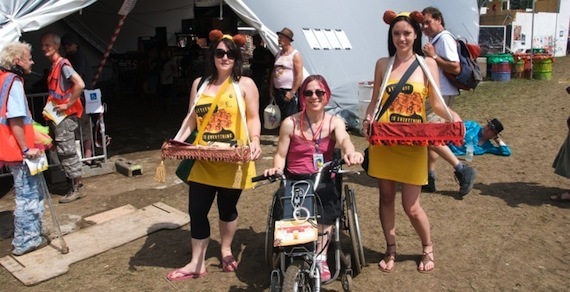 Attitude is Everything is a charity set up to improve Deaf and disabled people’s access to live music and have been working in partnership with Glastonbury Festival since 2005, offering advice on festival accessibility as well as recruiting Deaf and disabled Stewards to join the Glastonbury team and work with the accessible facilities. Attitude is Everything supports the music industry to make live music events more accessible. Having begun as a pilot project in 2000, they are now a fully independent charity and part of Arts Council England’s National Portfolio of Organisations. Attitude is Everything encourage events producers to go beyond legal obligations set out in the Equality Act and implement Best Practice, providing a fair and equal service to their Deaf and disabled customers.